About the package: Beautiful Illusions is the epitome of a Illusions Designs character. She is the flagship of this enterprise and the best sold character package in the history of Illusions. Great skin tone, perfectly designed head and body morphs and an incredible set of make up and eye colors, coupled with a great set of 4 second skin mats. 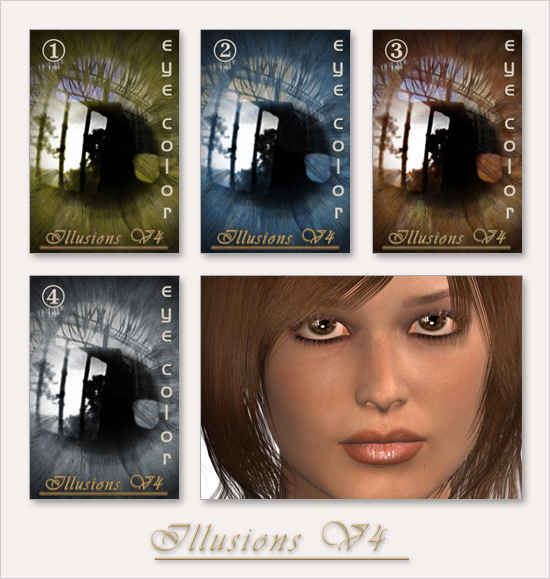 All these options make Illusions for Victoria 4 a absolutely must have on your Runtime folder.